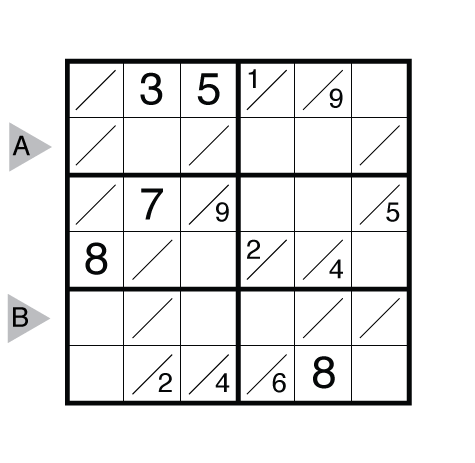 Author/Opus: This is the 319th puzzle from Thomas Snyder aka Dr. Sudoku. 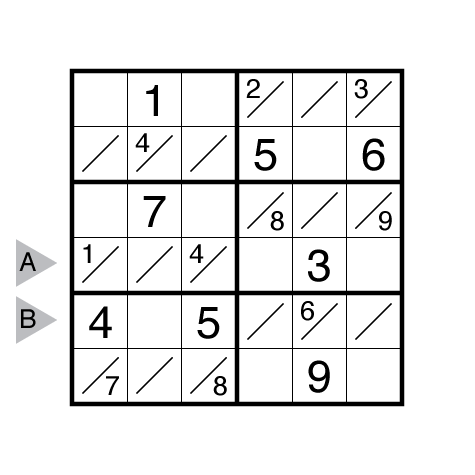 Author/Opus: This is the 133rd puzzle from our contributing puzzlemaster Serkan Yürekli. 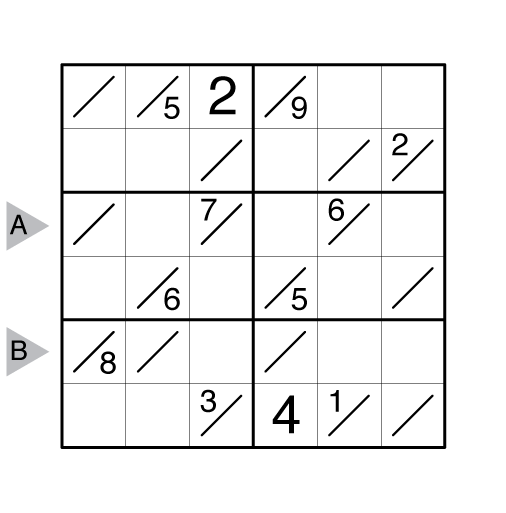 Rules: Standard Tight Fit Sudoku rules with digits from 1-9. 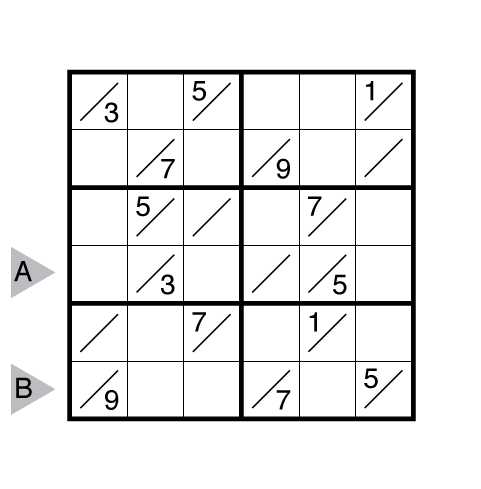 Also, digits cannot repeat in diagonally adjacent cells (both digits in any “tight fit” cell are considered when checking presence in a diagonally adjacent cell). 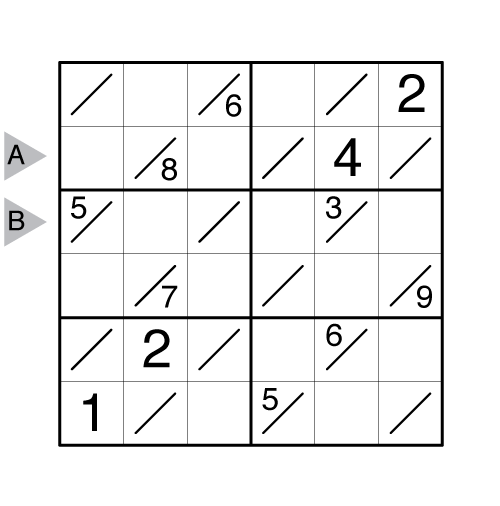 Author/Opus: This is the 132nd puzzle from our contributing puzzlemaster Serkan Yürekli. 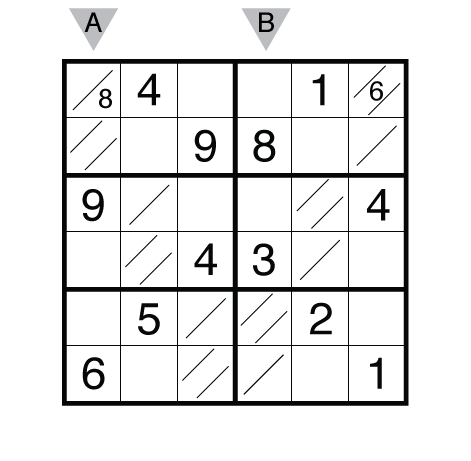 Rules: Standard Tight Fit Sudoku rules with digits from 1-9. 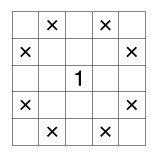 Also, digits cannot repeat in any cells separated by a chess knight’s move (both digits in any “tight fit” cell are considered when checking for presence in a cell a knight’s move away). 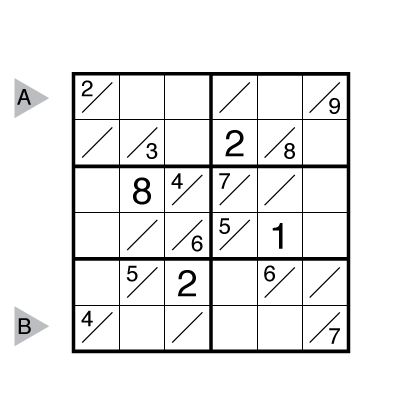 Author/Opus: This is the 72nd puzzle from our contributing puzzlemaster Prasanna Seshadri.